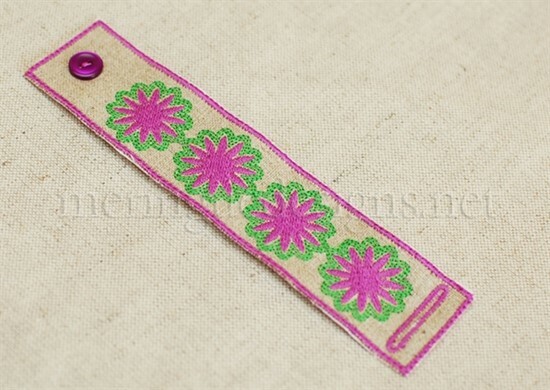 Instructions will be included with the electronic embroidery design on how to make the bracelet in the hoop as well as finishing it by conventional machine. 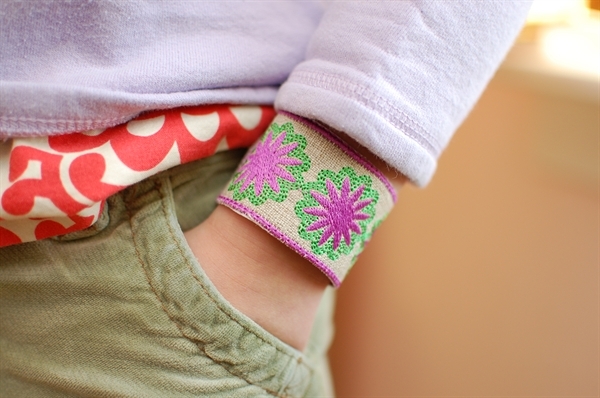 I love wearing these fabric bracelets. They are the perfect way to accesorize my outfits. 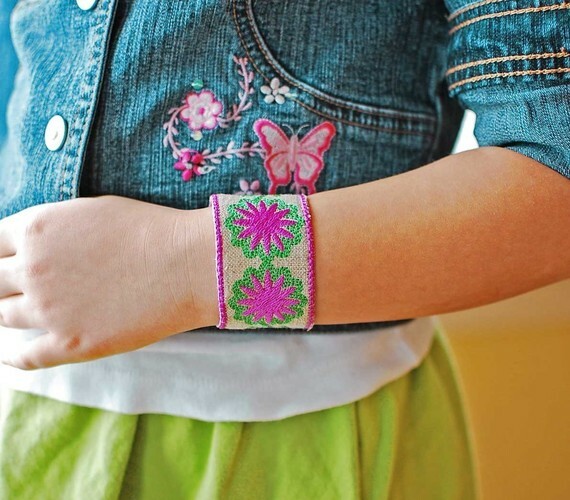 Silk, linen, or cotton, all look great as fabric bracelets. The bracelet in these images is black dupioni silk with metallic silver thread for the embroidery.